New sleek design provides the utmost style and comfort! 2015 is going to be another extraordinary year for Cal Spas® with the introduction of the new Connect™ 751 Lounger and the Connect™ 751 Bench Spas. Connect™ Spas are full-sized luxury hot tubs crafted with entertainment in mind. Your party will definitely enjoy chilled cocktails and great conversation in the heated comfort of a Connect™ Spa. 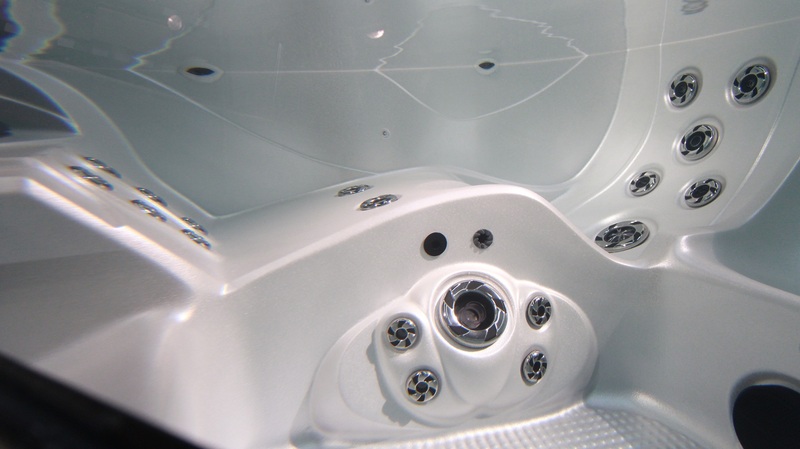 The all new Connect™ Spas give you the ability to choose between 37 or 50 jets. It features larger foot domes with foot therapy jets, speakers that project sound inward providing better acoustics, and oversized pillows for better neck support. Even the placement of the cup holders makes it easier to enjoy a dip in the spa. 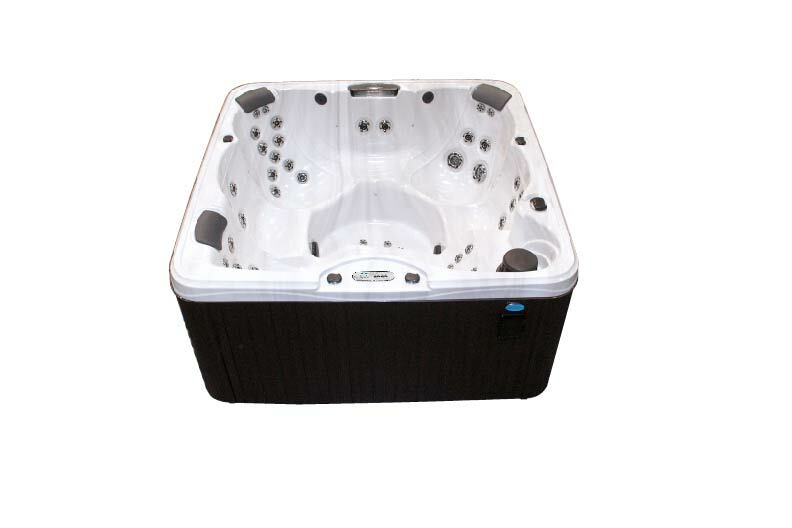 The new Connect™ Series Spas allows you to customize your hot tub experience by giving you the power to choose a spa that is specifically suited to your needs. Connect™ Spas feature Mega-Weir™ Teleweir, a 75 sq. ft. filtration system that helps prevent unwanted debris from re-entering the spa. Hydrotherapy at its best! The Contour-Lux™ Seat Design provides better lumbar support and is ergonomically shaped to the natural curvature of the spine, which is perfect for those who are looking for relief from back strains and pains. The best part is that you can share the seven-foot Connect™ experience with up to six people! Cal Spas® is excited to share the new Connect™ experience with you.